Why is honey good for skin? It’s great for keeping good skin but also for eliminating skin blemishes, acne and other skin problems. Honey for skin care may sound new, but using honey for small injuries and infections isn’t new. It’s been used for years, but now medical science has the technology to prove honey’s abilities. 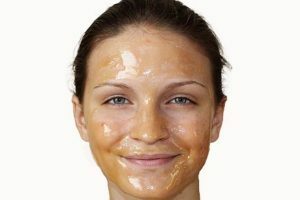 Honey contains the sugars glucose and fructose, natural alpha-hydroxy acids that exfoliate the skin, reducing the appearance of skin blemishes. 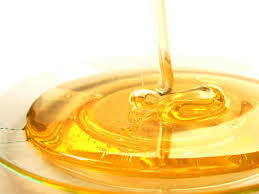 Honey is also a humectant, which means that it is able to attract water from the air and keep your skin hydrated. One of the special abilities when using honey for skin blemishes is that when it is placed on the skin, the heat from your skin along with the components of the honey, create a natural hydrogen peroxide! Hydrogen peroxide is a potent anti-microbial, that will minimizes the appearance of blemishes and prevent the recurrence of acne lesions. also helps in promoting moist wound healing. 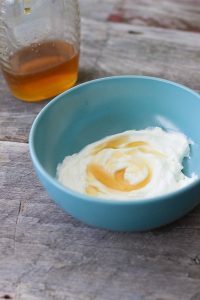 Honey and Yogurt – perfect for skin or eating! There are a couple of ways to use honey for skin blemishes and other skin concerns. You can blend honey with essential oils, lemon juice or pureed fruit. Or, you can use honey alone. First, apply a thin layer and leave the honey on the skin for a minimum of 10 minutes. A warm wash cloth can then be used to remove the honey. As a blemish treatment, apply a small dab of honey on the blemish with a swab and cover it with gauze or a small bandage before bed. 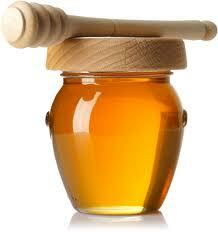 The healing effects of the honey should reduce the blemish overnight. Find a natural raw honey for your skin, and do a skin test first. Also, check for 100% honey with no additives. There is more about honey, good for your insides too! Sweetener: Sugar can be substituted with honey in many food and drinks. It contains about 69% glucose and fructose enabling it to be used as a sweetener. Energy Source: used by many as a source of energy as it provides about 64 calories per tablespoon. One tablespoon of sugar will give you about 50 calories. Further the sugars in this natural sweet can be easily converted into glucose by even the most sensitive stomachs. Hence it is very easy to digest. Weight Loss: Though it has more calories than sugar, when consumed with warm water helps in digesting the fat stored in your body. Similarly, this sweetener with lemon juice, and with cinnamon, all help in reducing weight. Another reason for why is honey good for skin – it is good for your insides too! Recent research has shown that this bee product is an excellent ergogenic aid and helps in boosting the performance of athletes. It helps to facilitate in maintaining blood sugar levels, muscle recuperation and glycogen restoration after a workout. Source of Vitamins and Minerals: contains a variety of vitamins and minerals. The vitamin and mineral content depends on the type of flowers used for apiculture. Antibacterial and Antifungal Properties: it has anti-bacterial and anti-fungal properties and hence it can be used as a natural antiseptic. Antioxidants: contains nutraceuticals, which are effective in removing free radicals from our body. As a result, our body immunity is improved. Clay and Honey would make the perfect facial mask, clay mask recipes here. And here is a page on the different types of clays and their therapeutic benefits. Unfortunately, even honey gets pesticide contamination, more in this great article here.